An illegal gold trading network that had spread across Greece has been unraveled by police in an ongoing operation which began on Tuesday in Attica, Thessaloniki and the central town of Volos. According to police sources, a major operation which started on Tuesday was still underway, while large quantities of gold, silver, jewelry, as well as cash and weapons have been confiscated. Police said they arrested 59 people, including a minor celebrity – 51-year-old Dimitris Richardos Mylonas – who gained prominence at the height of the Greek financial crisis with TV advertisements for the dozens of pawn shops he owns that trade in gold and silver. Mylonas and the other suspects arrested – gold traders and stolen goods dealers – are charged with buying gold and silver from a gang of about 20 foreign nationals who robbed homes. 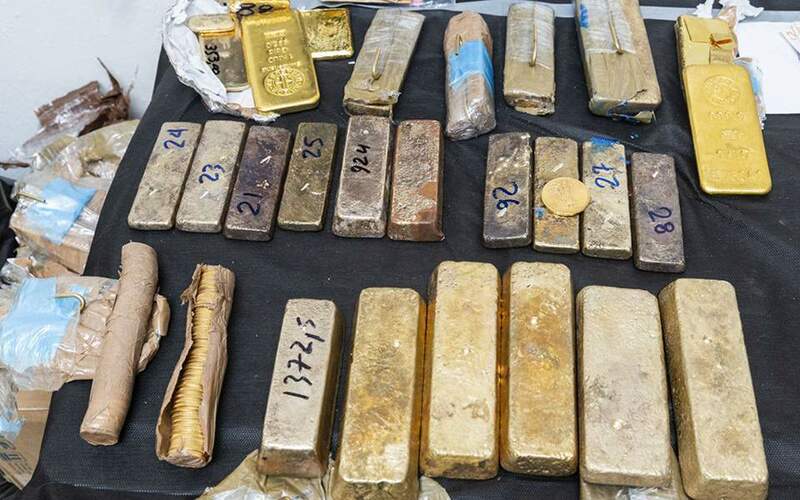 Some of the stolen gold and silver received by Mylonas was, reportedly, melted down and then smuggled abroad to Turkey and Germany. In 2016, Greek police dismantled a Roma gang which was involved in more than 500 robberies and was also cooperating with gold and silver pawn shops and jewelry stores.